It’s time for the four lower Snake River dams to come down and to save our wild salmon. A sockeye salmon (Oncorhynchus nerka) in Little Redfish Lake Creek, Sawtooth National Recreation Area, Idaho. Hang around salmon advocates long enough and sooner or later you’ll hear someone describe the fish as “magical.” This may sound hyperbolic, especially for a fish most people associate with dinner, but consider the remarkable ability of salmon. Earthjustice litigation is working to remove four outdated dams on the lower Snake River that are driving wild salmon to extinction. After completing the long journey from freshwater streams to the ocean, salmon must survive several years in a perilous saltwater habitat, dodging killer whales and other predators. 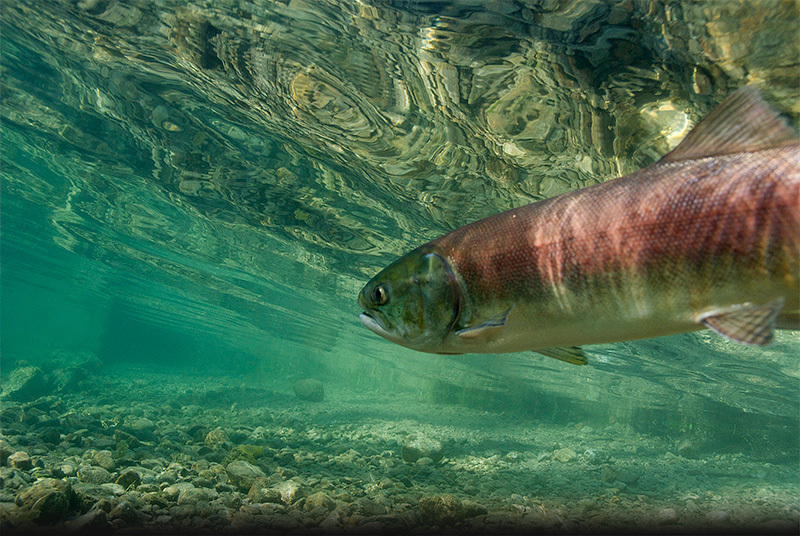 When it’s time to return to their spawning grounds, they migrate upstream along fast-moving mountain rivers, often for hundreds of miles and climbing thousands of feet in elevation to the precise location of their birth. Top: A serpentine tributary of the Snake River. Bottom: Salmon migrate upstream to their spawning grounds. A serpentine tributary of the Snake River. The fish have completed this migratory cycle for millennia, demonstrating resilience through forest fires, volcanic eruptions and ice ages. Yet the biggest threat to their survival is not an act of nature. 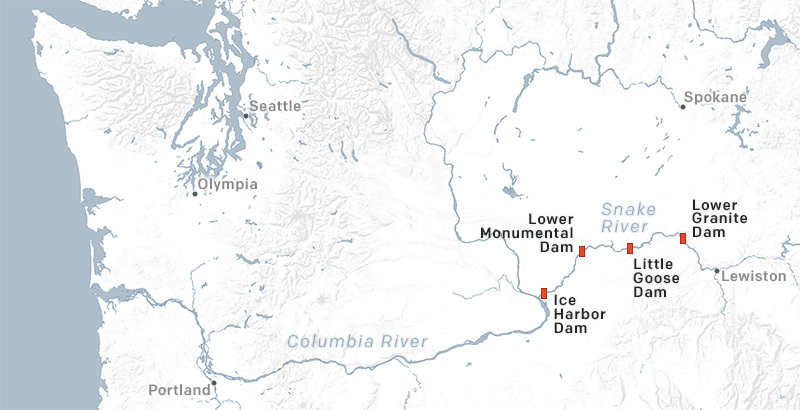 It’s man-made dams — which create barriers to salmon migration to and from the ocean. Four dams on the lower Snake River — Ice Harbor, Lower Monumental, Little Goose, and Lower Granite — are especially harmful, impeding salmon’s passage through an essential migration corridor that joins with the Columbia River and flows through Idaho, Washington and Oregon. As long as these dams remain in place, wild salmon migrating along this route will languish on the brink of extinction. Dismantling those dams would set in motion one of the greatest river restorations ever, opening free-flowing access to some 5,000 miles of wild salmon spawning habitat, much of it in protected wilderness areas. More than a quarter million people registered comments calling for the dams to come down during an official federal comment period in the fall of 2016. The decline of salmon is contributing to the tragically high rate of death among orcas. We must remove the four dams to save wild salmon and to save the orcas. At an Idaho creek that flows into critical salmon habitat. 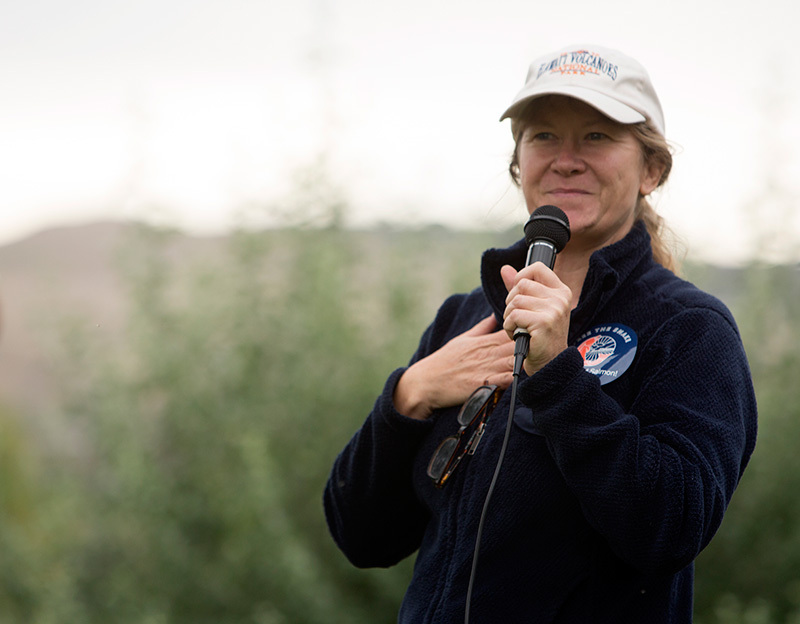 “We have a once-in-a-generation opportunity to restore the lower Snake River and bring back salmon,” says Todd True, an Earthjustice attorney who has been working to protect wild salmon for more than two decades. Inside The Legal Case Earthjustice attorney Todd True explains why the removal of four Snake River dams is a necessary and feasible action to save wild salmon. He adds that now is the ideal time to make the push to replace the dams with carbon-free, clean energy — even in the face of a presidential administration with an aggressively anti-environmental agenda. “Who controls the White House does not change the picture,” says True. On the Nez Perce reservation outside of Miles’ office in Lapwai, Idaho. Salmon in the Columbia and Snake rivers were once so plentiful that locals looked to them as a free, dependable food source. 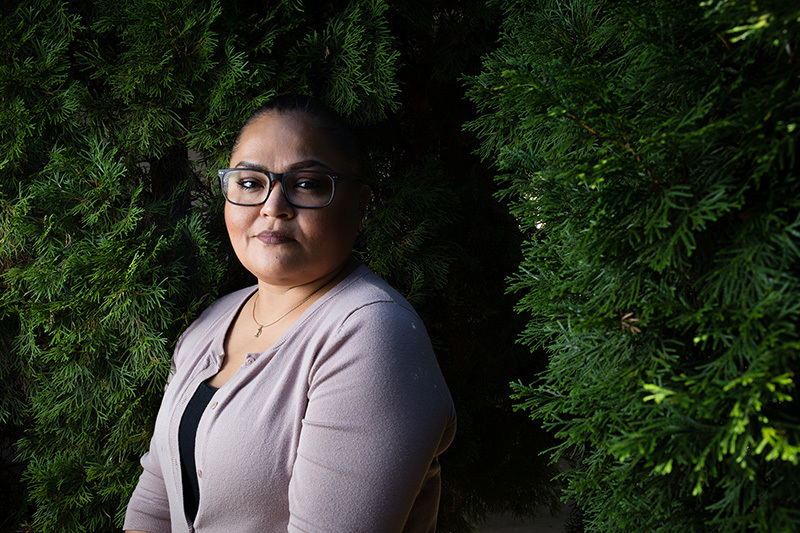 Rebecca Miles, a Nez Perce tribe member, grew up catching salmon and has spent years fighting to restore endangered stocks in the rivers where her family fished for generations. “We were poor, and the only way we were able to sustain our way of life was to hunt and fish,” she explains. But as dams were built throughout the Pacific Northwest — all told, more than 400 dams span the Columbia River Basin — wild stocks fell into steep decline and many disappeared altogether. 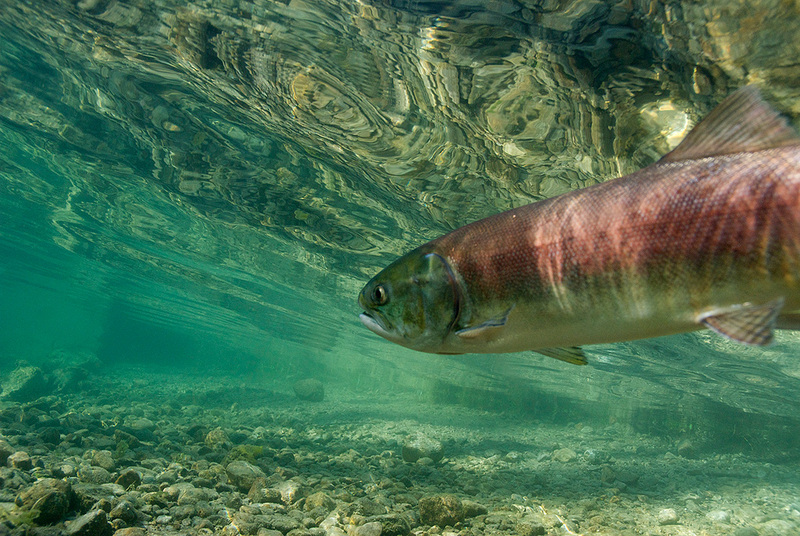 Today, 13 of the surviving salmon and steelhead species in the basin have landed on the federal endangered species list, including four species of Snake River salmon and steelhead. The four dams on the lower Snake River have proven to be especially destructive for these four species. For the Nez Perce, disappearing salmon runs translated into reduced dietary options and an erosion of cultural practices, such as preparing salmon for traditional meals. Native American tribes such as the Nez Perce were guaranteed permanent access to customary hunting and fishing grounds in treaties signed by the U.S. government more than 150 years ago. Without the fish, such promises are rendered meaningless. On Clearwater River, upriver from its confluence with the Snake River in Lewiston, Idaho. Before the lower Snake River dams were in operation, Steve Pettit, a now-retired Idaho Department of Fish and Game biologist, had a lunchtime ritual of fishing for steelhead near the confluence of the Snake and Clearwater rivers in downtown Lewiston. Stocks were so plentiful that it took little time to hook one among the rapids. But Lower Granite Dam, the last of the four to be built just across the border in neighboring Washington, brought a permanent change to the river. As the reservoir filled behind the dam in 1975, Pettit watched as his babbling fishing spot transformed into a flat, glassy pool. In the decades that followed, Pettit — whose job entailed tracking fish health — watched salmon and steelhead populations plummet. Asked what will become of the fish if the dams remain, he shakes his head. At the 2016 Free the Snake Flotilla on the Snake River, between Lewiston, Idaho, and Clarkston, Washington. 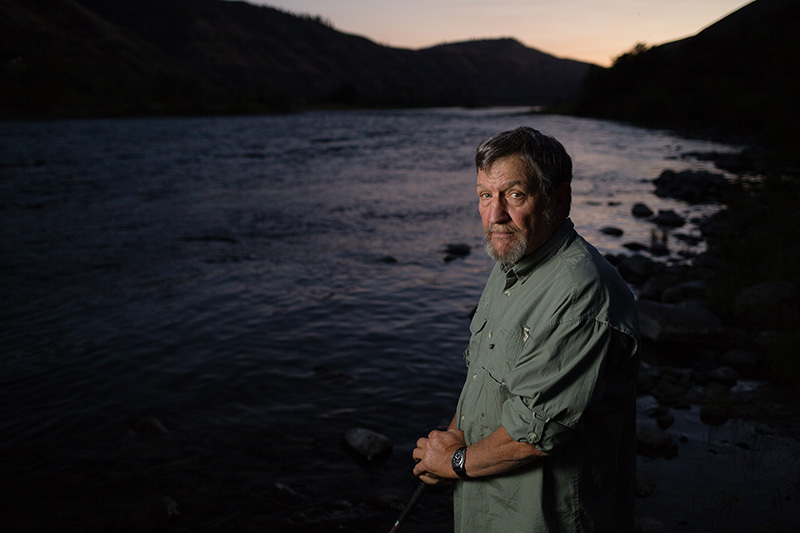 For decades, biologists like Pettit have pointed to removing the lower Snake River dams as the most effective protection measure for wild salmon. The outcome of recent dam removals on the Elwha River in Washington state’s Olympic Peninsula is living proof that dam removal works — salmon there have rebounded even faster than scientists initially predicted. But federal agencies have been as inflexible about the Snake River dams as the concrete that impedes the endangered species’ passage. Despite multiple federal judges rejecting agencies’ past measures to revive wild salmon because the plans were inadequate, the feds have yet to take seriously the option of dam removal. Nevertheless, a broad coalition is working together to push for the one solution that could actually bring back wild salmon. The tide is turning. A May 2016 court victory was especially promising for wild salmon. A federal district judge rejected, for the fifth time, the federal agencies’ plan to protect salmon, and a judge ordered dam operators to consider lower Snake River dam removal as one alternative strategy for salmon restoration. 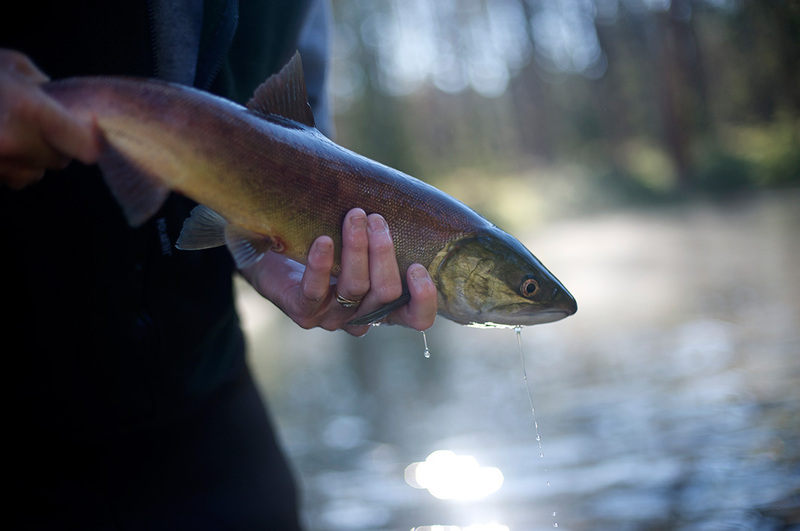 Since then, a number of efforts have been underway to protect dwindling wild salmon in the Columbia and Snake rivers. Annual rallies — dubbed the “Free the Snake Flotilla” — were held in the fall of 2015, 2016 and 2017, featuring hundreds of fishermen, kayakers and members of Pacific Northwest tribes paddling in traditional canoes. An April 2018 report, meanwhile, outlined a detailed scenario that would offer Pacific Northwesterners affordable, reliable clean energy and healthy wild salmon populations. Energy Strategies, a company serving power producers and governments throughout North America, conducted the study on behalf of a coalition of conservation and consumer advocacy organizations called the NorthWest Energy Coalition. The study found that the four dams aren’t necessary to power the region, since the electricity they generate could just as easily be supplied by a mix of renewable energy, efficiency and demand management. This transition would come with a monthly cost increase of just $1.25 per household — mere pennies a day. Yet none of this will happen overnight, and stakes are high in the meantime. The impact of climate change has made river restoration all the more urgent. Salmon need cold water to survive, but dams have transformed ice-cold rushing rivers into slack-water reservoirs that bake in the sun. This stagnant environment is more likely to reach lethally hot temperatures due to global average temperature increases. A sockeye salmon (Oncorhynchus nerka) at Little Redfish Lake Creek trap, Sawtooth National Recreation Area, Idaho. A legal victory on April 2, 2018, helped juvenile salmon gain at least some temporary protection while federal agencies contemplate long-term measures such as dam removal. The Ninth U.S. Circuit Court of Appeals — siding with almost a dozen conservation and fishing organizations, the Nez Perce Tribe, and the State of Oregon — upheld a U.S. District Court ruling that federal dam managers must allow more river water to flow over the dams in the spring months, to facilitate safe passage for young salmon migrating to the ocean. “After more than 20 years of federal failure, salmon are in desperate need of help now,” said Todd True, the lead Earthjustice attorney, following the court decision by the Ninth Circuit. Originally published in the Earthjustice Quarterly Magazine. Subscribe with a tax-deductible gift to Earthjustice. 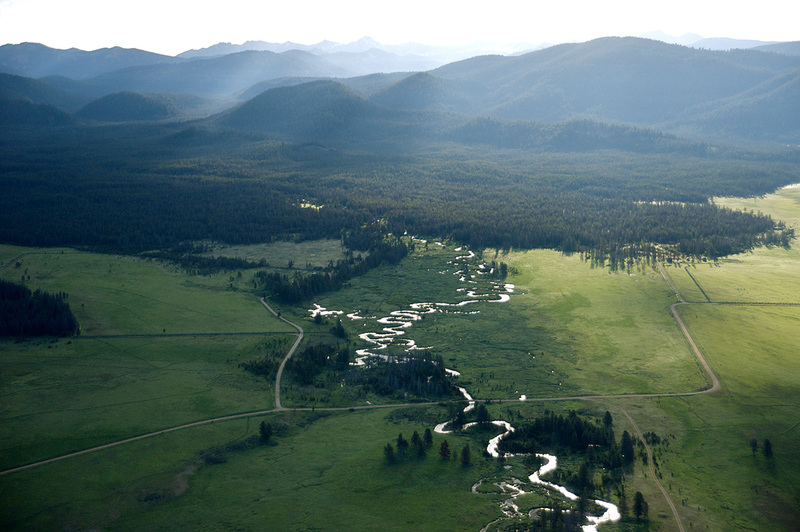 Rebecca Bowe reports on the litigation docket of Earthjustice's Northwest and Alaska offices. Todd True is a senior attorney in Seattle. He joined Earthjustice in 1987 as one of two attorneys who opened the Northwest office. 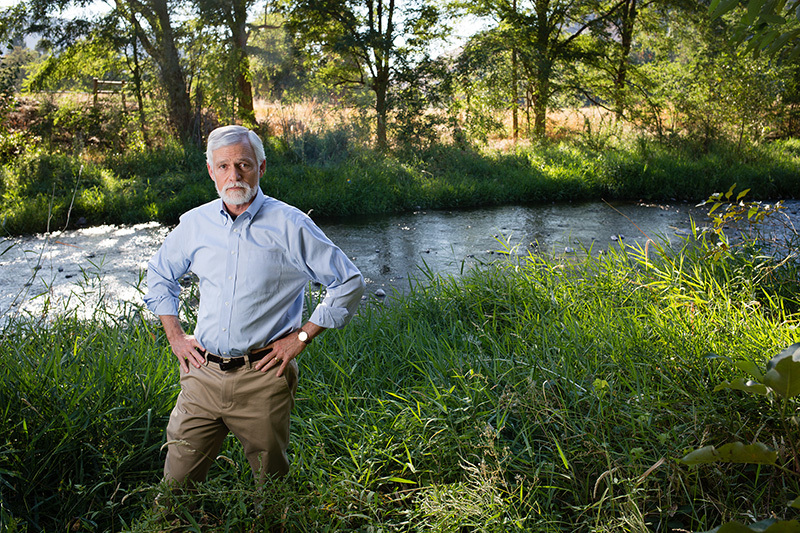 He has handled cases under the federal Endangered Species Act, Clean Water Act, National Environmental Policy Act, and National Forest Management Act. Earthjustice’s Northwest Office was established in 1987. Our Seattle-based attorneys take on the region’s most critical environmental challenges, including protecting majestic old-growth forests, safeguarding Puget Sound’s orcas, saving our iconic wild salmon, and blocking massive coal export facilities and shipment of dangerous crude oil by rail. Save wild salmon, to save the orcas. You can help. The decline of chinook salmon has contributed to the tragically high rate of death among Southern resident orca whales. Only 75 individuals remain. Tell Washington Governor Jay Inslee that plans to save the orcas must include saving their main food source, salmon — by removing the four failing, outdated dams along the lower Snake River.